We are pleased to inform you that after her busy charter season, Blue Ice is now lying in San Remo, and ready for next charter until 18 th September. Key Features, Flybridge Jacuzzi, removable shade biminis, opening side terraces, gym room and and amazing array of toys, including a flyboard, 2 jetskis, seabobs. 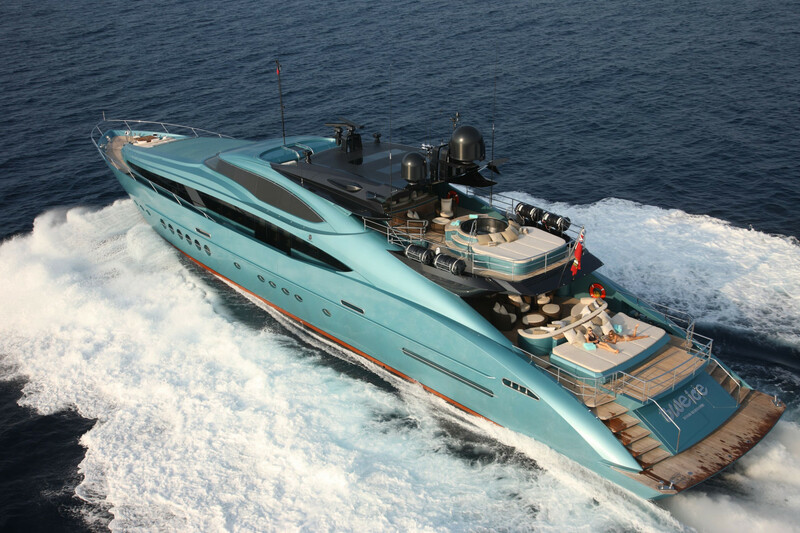 BLUE ICE will attend the Monaco Yacht Show , 23-26 September .